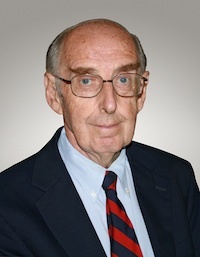 Mr. McCarthy is a widely published journalist and author. He served as a columnist for The Washington Post from 1969 to 1997. He has also written for The National Catholic Reporter, The Nation, The Progressive and The New Yorker. Choosing to be a peace correspondent rather than a war correspondent, he went to the front lines of peacemaking to bring to his readers such risk-takers as Nobel Peace Prize Laureates Adolfo Perez Esquivel, Muhammad Yunus and Maired Corrigan, as well as Sargent Shriver, Joan Baez and Howard Zinn. His books include I’d Rather Teach Peace, All of One Peace, Inner Companions, Involvements: One Journalist's Place in the World and At Rest with the Animals. He is also the editor of two anthologies—Solutions to Violence and Strength Through Peace—that are used in peace education programs in many colleges and high schools. Mr. McCarthy is an influential teacher in the field of peace education. In 1982, he began teaching peace studies as a volunteer at two public high schools. Currently, he teaches eight classes at six Washington, DC area schools and universities: the Georgetown University Law Center, American University, the University of Maryland, the Washington Center for Internships, and Bethesda-Chevy Chase and Wilson High Schools. He has taught and mentored over 8,000 students. In 1985, Mr. McCarthy and his wife Mavourneen founded the Center for Teaching Peace, a Washington non-profit organization that works with schools to create peace studies programs. They have three sons, all involved in social justice work.